Last week was a pretty busy week, but my roommates and I did a lot of baking and cooking! 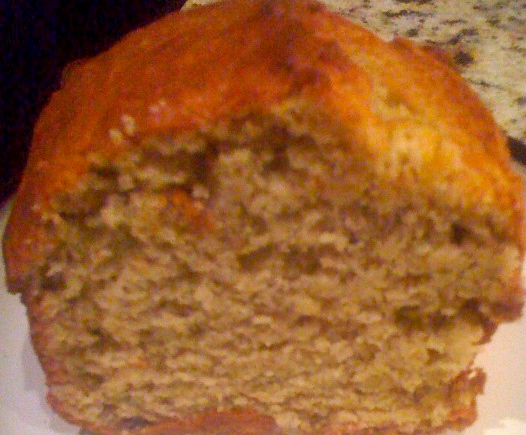 Jess made Banana Bread one night and it was so good! I had it for dinner and breakfast the next day. I have never made Banana Bread, but it was fun watching her make it. I hear it is pretty simple, so one of these days I will give it a try! The next night Alyssa took over in the kitchen and made some really good Turkey Burgers. 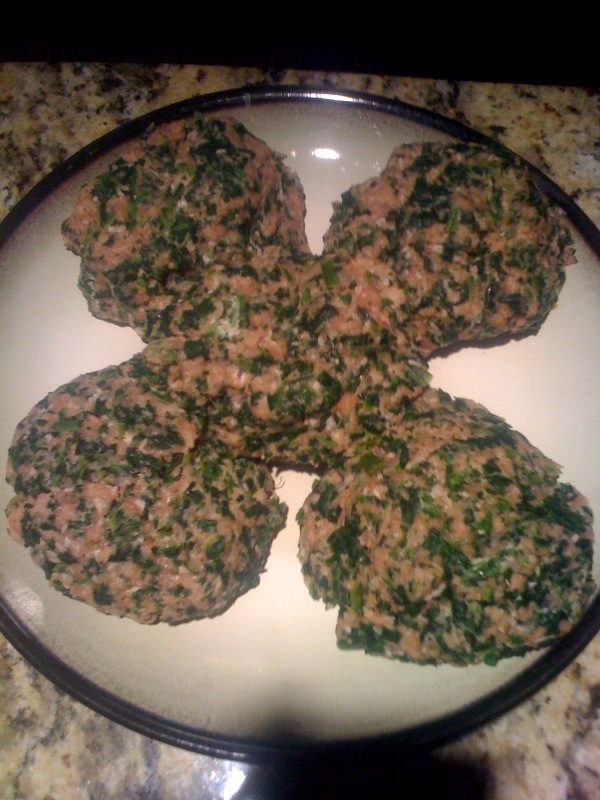 She mixed the meat with spinach and goat cheese and added a little seasoning. We also had some green beans and tomatoes on the side. To continue on with our week full of kitchen adventures, Nikki and I made dinner the following night. 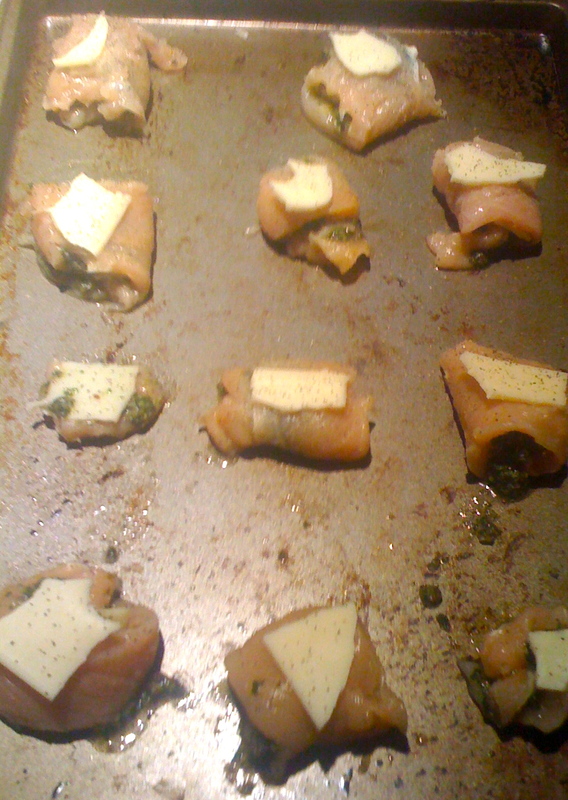 I rolled pesto and swiss cheese into chicken, added some pepper and baked it. I kind of came up with this on my own and was a little nervous about the outcome, but it turned out really good! 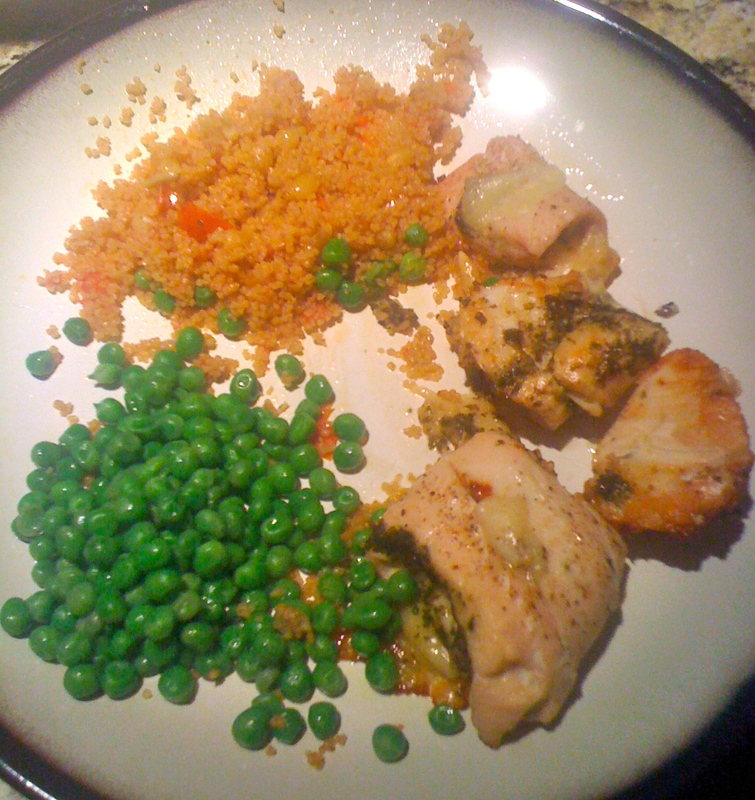 Nikki made cous cous and added a few things…I can’t remember what, but it was SO good. Everything was gone after dinner! Once again I was out-of-town over the weekend, but was glad to be home. I had a wedding to go to on Saturday. One of my sisters best friends got married, whom I have known pretty much my entire life. She looked beautiful, the wedding was so much fun, and it really was a special night. Congrats Devin & Spencer! I also got to spend Mother’s Day with my lovely Mom. We surprised her with some great gifts and it was nice to spoil her a little bit! As usual, we had dinner at my Grandparents, but this time we got a little entertainment! 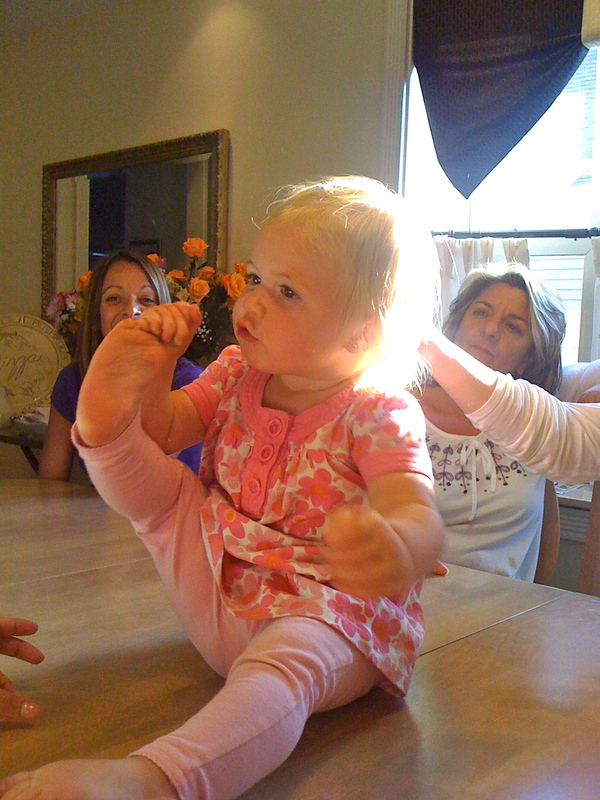 My cousin Annabelle was the center of attention for a while, dancing on the table and making everyone laugh. She just started walking, but can already dance and twirl! She is just too cute so I thought I would share! While she was entertaining us, it brought up some pretty funny memories. I am not sure if this is an “Italian” thing or not, but all my cousins and I came to a consensus that we all spent a lot of time playing on tables and taking baths in the sink as little kids. It’s always nice to look back on growing up and have a good laugh! For the Love of Italy…and it’s Food!